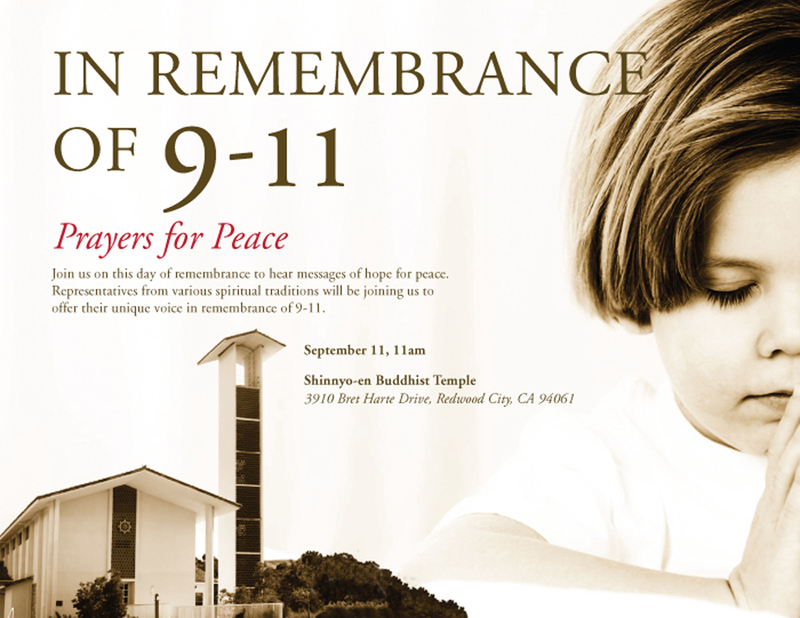 On Sunday, September 11, 2011, on the 10th anniversary of 9-11, the Shinnyo-en community held a remembrance ceremony. Traditional Buddhist chanting was offered with members of the congregation joining in the recital. Following the chanting, representatives from seven different religious traditions offered their messages of peace. It was not only a day of remembering the past events, honoring the departed, and consoling those left behind, but also looking forward to a day that peace will be become a reality. With the wish for world peace, it is our hope that everyone will try to kindle the unlit candles in their immediate surroundings so that the many small lights will spread and illuminate the entire world. We wish to extend our gratitude to everyone who attended.